So this whole ARM thing is clearly getting out of hand, but trust me it is by no means my intention to interrupt your regularly scheduled social media programming as often as it is happening lately. It’s just that there is so much stupendous music coming out recently that it’s hard to resist the temptation of populating the ether-waves with due-diligence artistic criticism whenever a release truly warrants it in my eyes. So let me just cut some of the fat here and get to the point as quickly as possible. I’ve been closely following a specific cluster of hip-hop/soul/jazz-prodigies for a while now, originally captivated by the significance and wholesome effect of the intertwined sonic highways found specifically in Kendrick Lamar’s 2015 socially-conscious rap opus To Pimp a Butterfly. One of the members of this specific watch-group of musical excellence is Texan jazz pianist Robert Glasper, so when I saw that he announced the formation of a new jazz-rap supergroup called August Greene earlier this January – joined by the conscious rapper par excellence Common as well as multi-talented, multi-instrumentalist, but mainly drummer and Kanye West muse Karriem Riggins – I just had to keep an eye on their debut release. Said debut release came in form of a self-titled, self-published, and self-released 11-track and 50-minute project licensed exclusively to Amazon Music as part of their ‘Original’ content series. Now before going any further and risking to go over this point too quickly, I thought this album distribution deal was pretty interesting to say the least. And this is for two main reasons. The first one being that in the present quintessential prime age of listeners requesting access to versus ownership of music, restricting such an exquisitely appetising effort to only a handful proprietary digital national stores through windowing is pretty much the 101 on what not to do in 2018 if one hopes to stand out from all the noise and remain relevant to the millennial musical discovery radar. Secondly, I guess this move puts Amazon Music quite significantly in a position to advantageously compete not only with the hundreds of other DSPs (digital service providers, i.e. Spotify, Apple Music, Deezer etc…), but also and perhaps most importantly against record labels themselves, despite what Amazon’s Head of Music likes to say. At a certain point it doesn’t really matter how and who handles publishing and recording for a specific album, if Amazon Music is all people see advertised and plastered in association with the content, then I’d say a whole new layer of issuing reality is constructed in the eyes of the consumers and the industry at large. But I digress, back to this gorgeous list of tracks. August Greene first manifested to the world on 18th January through the release of their first single “Optimistic” featuring R&B-singer/songwriter Brandy, issuing a proud and uplifting soul-infused musical statement borrowed as cover song from Sounds Of Blackness‘ 1991 original composition. A month later, the star-studded trio delivered a mighty 35-minute acoustic live session as part of NPR Music’s stunning Tiny Desk-series, making it one of the most glorious ones amidst female empowerment, free-flow freestyles, and preview cuts off their debut release. 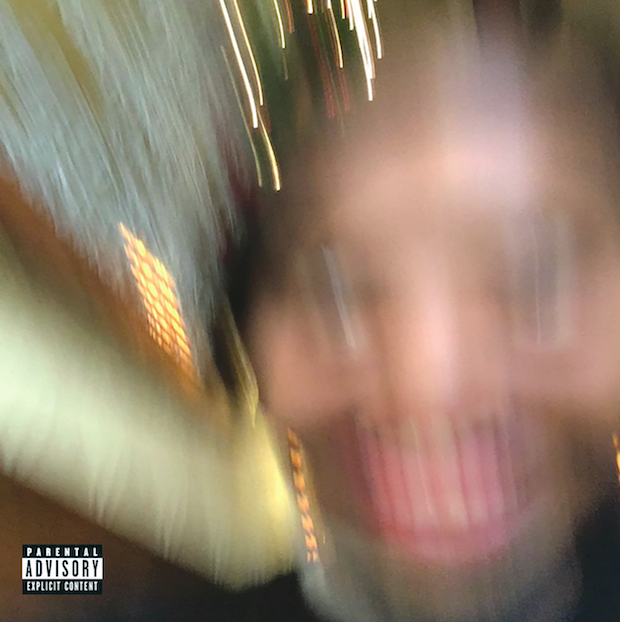 Experiencing the whole session ahead of the album drop did nothing but enhance the excitement for such a unique combination of sounds, moods, aesthetics, and lyrical advocacy all comprised in just over half an hour. Do yourself a favour and give it a watch/listen, it’s streamable for free (as opposed to dubious and obscure album deals struck with Amazon geo-fencing the fruition of content…), and you’ll leave the session enlightened and sonically content. You’ll thank me later. August Greene’s debut work officially came out on 9th March after having been previewed exclusively on the aforementioned NRP Music, and overall strikes the listener as an inspiring, intense, and groovy ride spearheaded by Common’s top-form rapping and outstanding lyricism, Riggins’ unique blend of hypnotic and distinguished percussion craftsmanship, as well as Glasper’s channeling and pervasive output on keys. A song like “Black Kennedy“, the August Greene’s second single and Tiny Desk performance’s opening track, best encapsulates all of the above winning compositional and performing elements wrapped in a contextual discourse of racial empowerment, black excellence, and overall defiance to obstructionism. Common’s lyrics on this one are flawless both in significance and delivery (“The streets where we from, beats heavy drums / Wish I could put Jordans on the feet of everyone / Black Kennedy, royalty with black identity / Leader of the freestyle, I go to penitentiaries“, or during the poignant pre-chorus: “If I was a Kennedy, I’d be a black Kennedy / Black car, black tux, this is black symmetry / Raised in the Chi though my family from Tennessee / I remember me, ‘Riem, Dilla, we was in the D“), and the little help August Greene receives form New York-based pianist and composer Samora Pinderhughes feels quite fitting and nicely sewed into the texture of the track’s overall aesthetic, although it might come across a little awkward at first. Pinderhughes actually lends his vocal duties on a number of standout tracks on the album, including the soulful and smoothy “Let Go (Nirvana)” at number three on the tracklist, as well as its follow-up murky “Practice”, a song as gloomy and heavy as it transforms into a call for hope and inspiration by yet another striking and well-oiled flow by Common (“Mountains sing songs, kinds dream long / In a simple act is when a scene forms / I improve to improve and involve the ‘been throughs’ / The ‘near falls’, the ‘them fools’, the ‘brickwalls’ and venues”). Another aspect bringing qualitative critical mass to this supergroup project is something that has already been explored elsewhere alongside these frequencies, namely the early placement on the tracklist of the better, most complete, and most convincing cuts of an album. Proudly represented by the piercing, sharp, and anthemic opener “Meditation”, a flagship thematic track for August Greene which finds Glasper’s simple but penetrating synth variations accompanying Common’s best and most meaningful bars on the whole album (“They body snatchin’ black girls in DC / Politics and propaganda on the TV / Distractions, distractin’ us from action / It’s time for some, time for some passion“), clawed by Riggins’ signature syncopated dreamy drumming (no he’s not off-beat, I get that impression too but it’s actually not, in case you’re wondering…). It might now become clear that this August Greene’s self-titled debut is not only a fantastic, well-rounded musical statement by three world-class musicians at the top of their respective games that don’t shy away from successful experimentation and cross-pollinated genre contamination on a nice blend of songs (“Fly Away” and “No Apologies” are guilty as charged), but also a very much necessary hip-hop/jazz insurrectionist opera seeing multi-award-winning protagonists re-inventing themselves yet again by converting into messengers for the oppressed and forgotten ones, quick to indicate that the only fruitful way to fight the machinery’s negativism is by juxtaposing to it the exact opposite, namely flourishing optimism. I guess my only concern with this project is that it’s almost too short, as I most certainly would’ve loved to hear more from this good-shaped August Greene, especially as far as further musical experimentation is concerned. Besides the over-the-top and rather forgettable jazz opus and self-indulgent 13-minutes long album closer “Swisha Suite”, I wouldn’t have minded more artistic freedom and exploration on tracks such as the dull and linear “Aya” or the recycled “The Time”, as well as a mightier track listing more in general. After all, since it didn’t take long for Common, Glasper, and Riggings to get in a studio together and come out with a splendidly solid collection of eleven tracks, hoping for something more from them fairly soon doesn’t seem too unreasonable. For one, this type of optimistic faithfulness is exactly what this album preaches us to express. Lesson learned, I guess.